Grab My $1 Group Lesson! Download Your $1 lesson Voucher Now! 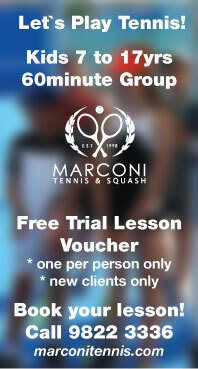 These lessons are a perfect way to start learning tennis they are social and fun. Through progressive drills and tennis games students will focus on fine-tuning strokes and learning all the basics of a strong tennis game.